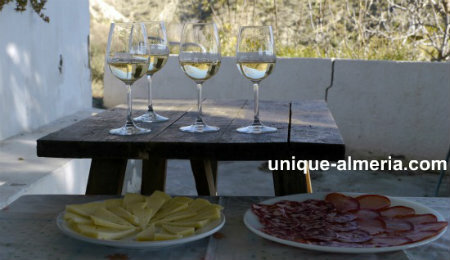 If you love wine tours and appreciate good wine, you may want to check out our hidden gem, in the unknown Alpujarra of Almeria. The first time we visited the Bodega de Alboloduy we were so impressed (read about the first of our wine tours here >>) that we decided to visit the Calvache Family again, for two good reasons: we wanted to know more, receive a lesson about wine tasting and second, buy more of that awesome grape juice!! Much to our surprise we not only learnt about how to actually taste a wine (not just drink it! ), but also had a fantastic lunch, so typical and authentic that it is almost impossible to find anywhere else. Why? Because it was prepared by the Calvaches' themselves, at their very own "Cave Restaurant". Actually it is not a Restaurant, it is a cave, typical in this area, owned by the family and used by them for their visitors as a special treat. Awesome! The temperature inside is naturally cool in summer and warm in winter! So cozy!! From the terrace we had a wonderful view over the valley, full of Orange, Olive and Almond trees.. Here a bit more information about the Bodega and the wines and wine tours I gathered. Look at the impressive list of awards! 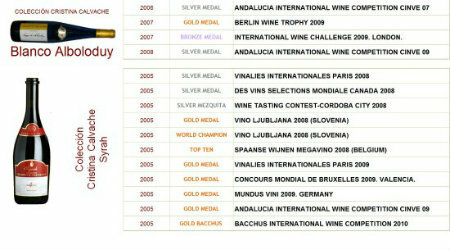 The following are not all awards, due to the wine tasting session, I missed to take note of the newer ones (2010 and 2011).. guess you understand? 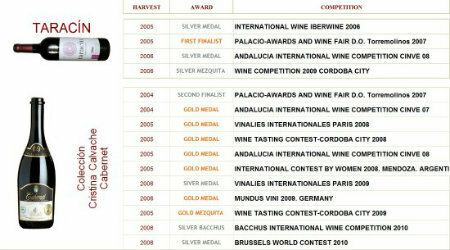 This generous harvest coupled with the earlier ones in 2007 and 2008, form a track record of some thirty international awards. Today, "La Bodega de Alboloduy" is the most award-winning winery in Andalusia. This is specially surprising, taking into account the difficulties involved in developing this project in an area, unfamiliar to the national wine scene and also because it is being managed by a young woman. 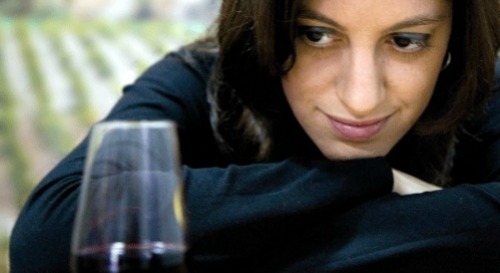 Cristina Calvache, enologist, is the soul of this family run winery. Thanks to her effort, hard work and determination La Bodega de Albolody is making its way into the difficult world of the wine commerce. Christina Calvache graduated from University of Almeria where she earned her Agricultural Technical Engineer degree. She also holds a degree in Enology from the University of Cordoba and Master degrees in Viticulture, Enology and Wine Management from the Enology School of the Basque Country. She complemented her studies with many months of practice in several wineries in the most renowned wine region "La Rioja" in Northern Spain. 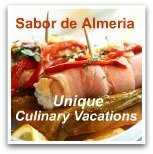 · 09:00 – Departure by bus from Almeria city to Alboloduy. · 10:30 – Visit to the vineyards of Alboloduy Campillo. Technobabbel spot on the cultivation of the vine. · 11:00 – Start of the theoretical-practical course of enology and Wine Tasting given by the enologist Cristina Calvache. · 14:00 - Typical "Alpujarreño" lunch. 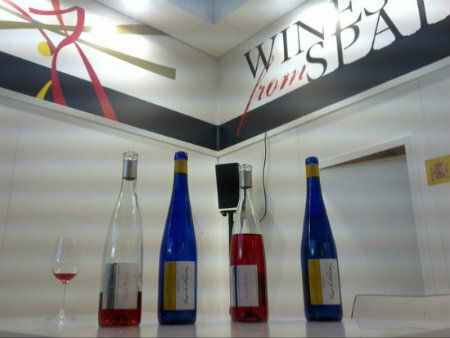 · 16:00 - Visit of facilities in the cellar where they explain the process of developing different types of wine. · 16:30 - Delivery of Diplomas of Attendance to the course. 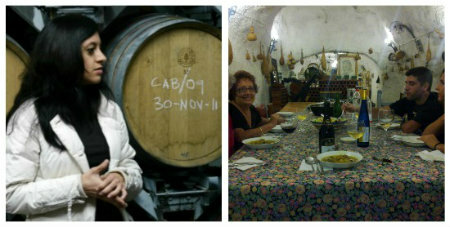 On request, Paco Calvache also offers wine tours to his " Sacred Montenegro ". You may use this form to contact Paco. 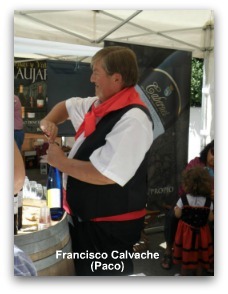 Also, apart from offering wine tours the Calvache family is still looking for some International Distributors. So if you are a Wine Cellar Shop or Distributor, and want to offer a real gem to your clients, La Bodega de Alboloduy will be a great option! A pintoresque, white washed village in the Alpujarra of Almeria. This pueblo is giving name to the most award winning wines of all Andalusia!